"My mood is always lifted. I tend to self-isolate and get depressed - a vicious circle. The club really helps me." Initially I went to the Silver Song Group as a means of providing an opportunity to socialise, for my wife. Little did I realise that I would stay and enjoy the singing, and that we would both benefit from the therapy which the sing-a-long provides. I volunteer with the Silver Song Group which includes driving some of the seniors home after the sessions. They just love it! They say it is a great way to start their day and keeps them feeling happy all week. They have made friends that they would not have made without the Group and also love what the singing has done for them physically. A friend offered to take me to Sing for Your Life - Silver Song Group and I was so happy. I enjoyed it so much. It was so wonderful to meet new friends who had the same need that I had. I have been attending regularly and look forward to share common interest with the people in the group. It has fulfilled a real void in my life and I look forward to each gathering. Every two weeks I used to drive over to Rutland to pick my wife up and her caregiver. She lived in a locked dementia facility. Sometimes she would join the group. When she did, we experienced a renewed connection through the singing. It was sometimes overwhelming to me… we cried with joy. It was like old times when we lived together. Our Foundation is committed to improving the health and wellbeing of older Canadians who live at home or in residential care, through music. Our programs create more age friendly communities and improve the life and care of older people, including those affected by dementia, and their caregivers. 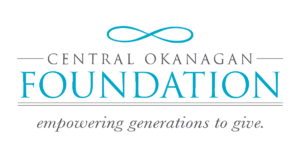 Funded in Canada through community and government grants, personal donations and corporate supporters.